THANK YOU Virginia and Vanessa for testing this pattern. Even though I assigned sizes to this pattern, it will fit a wider range. No sleeves to get to short and no button on the front to get too tight. Sc Dec: = Insert hook in next st, draw up a loop, (two loops on hook), insert hook in next st, draw up a lp (3 loops on hook), YO and draw through all 3 loops. 2. The pattern for both sizes is the same. Use the yarn and hook in the materials list to achieve the different sizes. With yarn and hook for the size you want to crochet chain 41. Row 8: Dc in 2 sts. *skip 2 sts, lg shell in next st, repeat from * once, skip 2 sts, dc in 2 sts, sm shell in ch 1 sp. Dc in 2 sts. *skip 2 sts, lg shell in next st, repeat from * 4 times, skip 2 sts, dc in 2 sts, sm shell in ch 1 sp. Dc in 1 st. *skip 2 sts, lg shell in next st, repeat from * 6 times, skip 2 sts, dc in 1 st, sm shell in ch 1 sp. Dc in 2 sts. *skip 2 sts, lg shell in next st, repeat from * 4 times, skip 2, dc in 2 sts, sm shell in ch 1 sp. Row 9: Dc in 2 sts, *lg shell in lg shell, repeat from * once, skip 2 sts, dc in 3 sts, sm shell in ch 1 sp. Dc in next 3 sts. skip 2 sts, *lg shell in lg shell, repeat from * 4 times, skip 2 sts, dc in 3 sts, sm shell in ch 1 sp. Dc in 2 sts, *lg shell in lg shell, repeat from * 6 times, skip 2 sts, dc in 2 sts. sm shell in ch 1 sp. Row 10: Dc in 2 sts, *lg shell in lg shell, repeat from * once, skip 2 sts, lg shell in next st, skip 2 sts, dc in 1 st, fold sleeve matching up ch 1 sps, dc over both ch 1 sps. Dc in 3 st, *lg shell in lg shell, repeat from * 6 times, , skip 2 sts, dc in 3 sts, fold sleeve matching up ch 1 sps, dc over both ch 1 sps. Row 15: (Right Side) Ch 2, slipstitch in 3rd ch from hook, sc in 4 sts, picot, *sc in 5 sts, picot, repeat from * 15 times. Sc in 5 sts, picot, sc in same st.
sc in 5 sts, sc dec over next 2 sts, sc in last 5 sts. Ch 1, sc in same st, 26 sc down the left front, picot, join with a slipstitch in first sc of edging. Ch 1, turn. Row 2: Sc in the front loop only of each st. Attach yarn with a sc at under arm. *Sc to ch 1 sp, sc, picot, sc in same sp, repeat from * 4 times, sc in remaining sts, slipstitch in first sc to join. OMG This is the cutest thing EVER! Thank you sew much! I love this ! I will be trying this for my little one! This was a very easy pattern to follow, thank you so much! I changed it up a little for added length, it worked very well! Thank you for sharing this pattern! P.S. Are you on ravelry? Before I post pics I want to give your pattern credit. 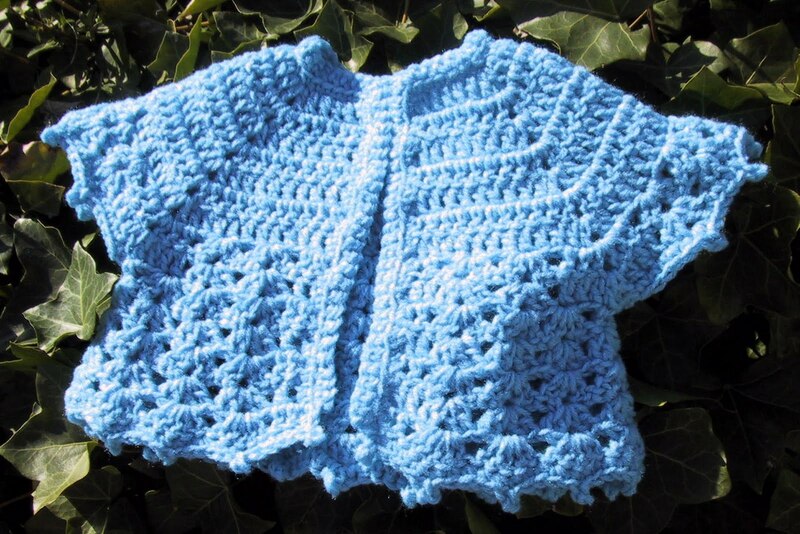 My patterns are no longer linked on Ravelry. Of course you can donate it to raffle off for charity. I love hearing what people are doing for others. As far as a photo goes you could join my group and post it there. This is an awesome pattern! It was very clearly written and very simple and elegant in design; thanks! I am a little confused by row 10. Do I just keep working on the one sleeve or go across the back to the other? You are skipping the sleeves all together and working only the two fronts and back. 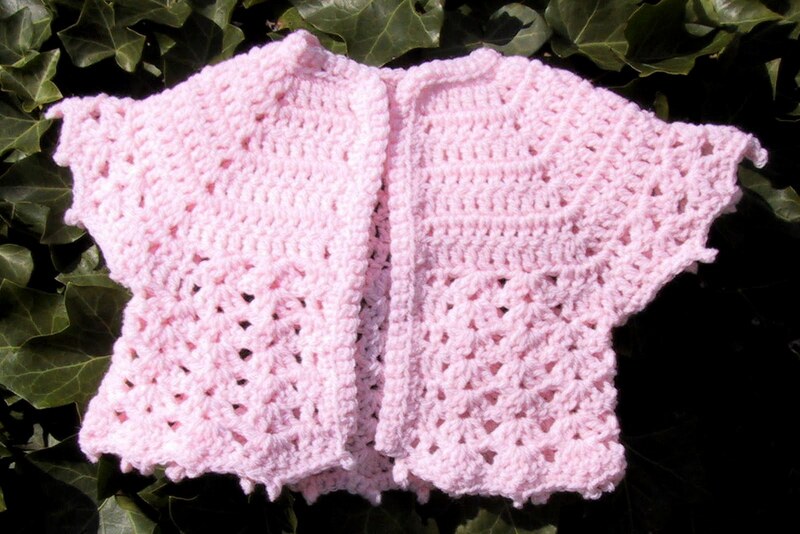 Thank you so much for sharing this pattern, one of these will look beautiful on my little girl come spring. Thank you for your kind words, you made my day. Thank you trying it now..will let u know the results n outcome. beI'm so glad I found your site. It's great! I'm wondering if you have a crochet pattern for a small (18mo-2yr)child's poncho using a medium weight yarn? I have some Caron Simply Soft on hand and would like to use that if possible. I made this using Bernat chunky and a J hook, and it fits a 4 year old. I also love the fact that I finished it in an afternoon!